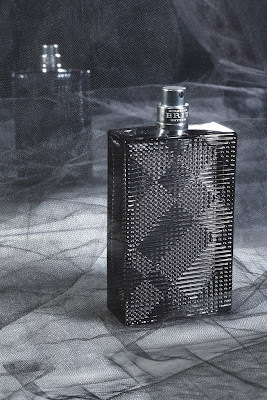 Find a fragrance for the boy from Burberry, Avon or Roberto Cavalli! Burberry Brit Rhythm - 50ml EDT - $68, 90ml EDT - $88 - with top notes of fresh basil verveina, spicy cardamom and a shot of juniper berries; heart notes of black leather, heady patchouli and styrax resin; and base notes of cedarwood; incense and warm tonka bean. Available at Hudson's Bay, Sears, Sephora and sephora.ca. Avon Derek Jeter Driven Rush - 75ml EDT - $30, 100ml Body Wash - $12 - with a fresh top notes of cool blue mint; heart notes of sandalwood and cedarwood; and a base note of textured suede. Roberto Cavalli Just Cavalli For Him - 50ml EDT - $68, 90ml EDT - $82, 75g Deodorant Stick - $19 - with a sizzling top note of wild pimento; a sensual heart note of vetiver wood; and a base note of smooth leather. Available at Hudson's Bay, Sears, Shoppers Drug Mart, Sephora and Jean Coutu.